One fact of life in today’s world is that sooner or later you will need to deal with an insurance company. It might be health insurance, car insurance or life insurance. Your experience could involve your own insurance company. If you are injured because of someone’s negligence in a car accident you will probably have to deal with more than one insurance company for a single accident. But you don’t need to fight the insurance company alone if you call a Miami insurance lawyer for your Hialeah injury accident. Thankfully Florida law recognizes how difficult it could be for a consumer to hire an attorney to fight an insurance company to get the benefits they are entitled to receive. In many, but not all, cases an insurance company can be responsible to pay the attorneys’ fees of the consumer. But the consumer has to win the case first. Under Florida Statute § 627.428 if an insured or beneficiary obtains a judgment or decree against an insurance company for benefits, the court can award reasonable attorneys’ fees. One exception involves life insurance policies if the suit was filed within the 60 days after the proof of claim is filed. Another exception to the general rule of insurance companies paying attorneys’ fees in uninsured or underinsured motorist claims. Under Florida Statute § 627.727, attorneys’ fees are specifically excluded in litigation over underinsured or uninsured motorists benefits. If you were involved in a car accident in Hialeah, Miami or anywhere in Miami-Dade County Florida, you will likely have to interact with insurance companies. It might be yours or the other driver’s insurance company. Unfortunately you cannot trust an insurance company to be fair either. Insurance companies are in business to make a profit. Most insurers will say that they will pay what they owe but not a penny more. In reality, the insurance company adjuster will try to pay as little as possible whenever they can. That is why you should at least consult with a Hialeah insurance claim lawyer. It is up to you to protect yourself. You have to make sure that the medical bills and lost wages are paid when owed. The first step you can take to protect yourself is to speak with a Hialeah insurance attorney about your Hialeah car accident or personal injury claim. The Miami personal injury lawyers at the Wolfson Law Firm have been helping people from Hialeah on their insurance claims since 1963. Our Managing Attorney is Jonah Wolfson. He is a bilingual insurance claim lawyer who serves Hialeah, Miami Lakes and all the neighborhoods of Miami-Dade County Florida. Jonah and his bilingual personal injury team are ready to help you with your insurance claims. Just pick up the phone and call us at (305) 285-1115 and we can get started on your case today. 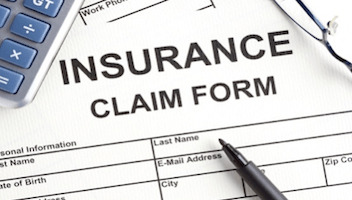 Our Hialeah insurance claim lawyers will make sure the insurance company pays what it is supposed to pay. If they don’t, our Hialeah insurance claim litigation attorneys will file a lawsuit in Miami-Dade Circuit or County Court. Our lawyers will demand that the insurance company pay their attorneys’ fees whenever allowed by law. If the fees are paid by the insurance company, then you as the client would get 100% of the benefits after costs. At the Wolfson Law Firm, our Miami personal injury lawyers and wrongful death attorneys are available to represent people who have insurance claims in Hialeah, Miami-Lakes, Miami, and all throughout Florida. We provide representation to the following neighborhoods and communities: Hialeah Garden; Edgewater; Miami Shores, Kendall, South Miami, Homestead, Downtown, Miami Beach, South Beach, Coral Gables, Coconut Grove, Aventura, North Miami, Sunny Isles, North Miami Beach and Wynwood. Call us right now for your free and confidential consultation at (305) 285-1115 or simply come to our office at 3399 SW 3d Avenue, Miami, Florida 33145.